Environment • Groups say their tests show damage that could harm sage grouse and other species. Brandon Loomis | The Salt Lake Tribune Jim Catlin of the Wild Utah Project points out differences between grazed grass and a wet meadow protected by a fence in late September, after a season's grazing at the Duck Creek allotment in Rich County. Wild Utah Project is one of two organizations trying to force changes to protect range health and sage grouse habitat. Brandon Loomis | The Salt Lake Tribune Jim Catlin of the Wild Utah Project points out differences between grazed grass and a wet meadow protected by a fence in late September, after a season's grazing at the Duck Creek allotment in Rich County. Wild Utah Project is one of two organizations trying to force changes to protect range health and sage grouse habitat. Brandon Loomis | The Salt Lake Tribune Jim Catlin of the Wild Utah Project examines creekside trampling in September after a season's grazing at the Duck Creek allotment in Rich County. Wild Utah Project is one of two organizations trying to force changes to protect range health and sage grouse habitat. Brandon Loomis | The Salt Lake Tribune John Carter, former Utah director of the Western Watersheds Project, measures remaining vegetation in September, after a season's grazing at the Duck Creek allotment in Rich County. Western Watersheds Project is one of two organizations trying to force changes to protect range health and sage grouse habitat. 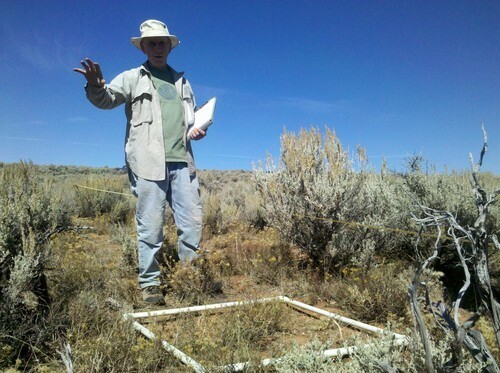 Laketown • Two environmental groups armed with years of data from grass-monitoring plots in Rich County hope a judge will force federal land managers to adopt new range-management practices that would protect vulnerable sage grouse. The dispute over cattle grazing at Duck Creek, east of Laketown near Bear Lake, is before an administrative law judge, who will decide whether environmentalists have proved that the Bureau of Land Management's lease practices are stifling range health in violation of agency standards. When he rules next year, advocates want it to ripple across Utah and the West, forcing more rest for native grasses and willows, especially where cows congregate around streams. 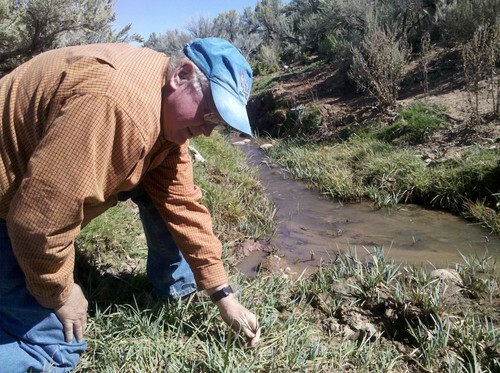 Springs have dried up under compacted soil and denuded vegetation, Wild Utah Project Executive Director Jim Catlin said, and that hurts late-season flows in the streams. No ducks visit Duck Creek anymore. Just under a third of the native grasses predicted by a government soil survey thrive here year to year. Standing in a bare upland patch between prickly big sagebrush this autumn, Catlin frowned while looking for native bluebunch wheatgrass. The soil survey in his hand  a kind of agricultural handbook for specific locales and elevations  predicted that species would comprise 28 percent of the vegetation. "I don't see any here," he said. "Grasses should be dominant." Regardless of the court ruling, he said, intensive study of Duck Creek may help change the government's practices. "It already is making a change," Catlin said of the protest his organization and the Western Watersheds Project filed over a 2008 management plan for the 25,000-acre allotment. BLM scientists have taken note of the groups' monitoring efforts, he said, and seem open to collaborating through a facilitator once the case is resolved. "I think they can see the power of what we're doing." For now, though, there is a serious divide over the health of this sagebrush steppe. When the BLM renewed 10-year leases for a handful of ranchers, it required improvements to protect stream-side vegetation and water quality  improvements that Rich County, the ranchers and others agreed were needed. Chief among them were a water pipeline and troughs in the uplands to lure away cattle from the streams, and division of the land into four fenced pastures so herders could move the livestock and give the grass a rest. The agency asserts that this should restore sensitive areas and says in documents supporting the leases that government reviews of the land show range health heading in the right direction. State agriculture officials, too, think the fixes are helping. 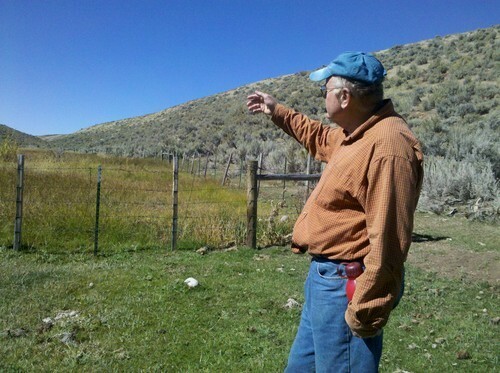 Bill Hopkin, grazing-improvement program director for the Utah Department of Agriculture and Food, said the range would be in still better shape if environmentalists hadn't appealed. The first plan, recommended by a county-led resource committee on which he served, prescribed six fenced pastures with a full year's rest for one every year. 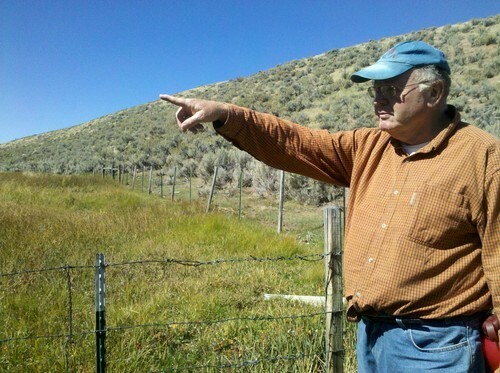 The BLM hadn't done the proper environmental review before proposing it, Hopkin acknowledged, and, in the delay that followed, the ranchers decided to proceed with fencing only on the private lands crossing the allotment. That meant four, not six, pastures. "It's just hugely disheartening," he said. "Very sincere people with good intentions put a lot of effort into trying to make this happen. The bottom line is you can't manage range with litigation." Even so, he said, the new four-pasture arrangement is helping to disperse grazing impacts. Environmentalists, by contrast, have sampled the vegetation for years and find no discernible improvement. The cows  up to 641 of them at a time are permitted  just intensify their stream-bed trampling and mowing when they're crowded into a single pasture, environmentalists say. The upland troughs may draw some livestock higher, but the wetland grasses remain the choicest morsels. "We haven't seen the riparian areas change," Catlin said. "They tend to be used to exhaustion regardless of the uplands." The BLM's Salt Lake Field Office, which administers the northeastern Utah land, said it trusts its methods but wouldn't elaborate while the case is in litigation. "Clearly we have a different opinion, and that's now being adjudicated," Field Office Manager Jill Silvey said. The major lease-holding rancher on the allotment did not respond to a request for comment. The sides have made their cases in weeks-long hearings, and a decision is expected within a year. The plaintiffs hopes the result prods the agency to adjust its practices, essentially giving pastures shorter use periods and more rest, with a goal of better cover and feed for sage grouse, deer and other natives. Without change, they contend, places such as Duck Creek will deteriorate until the federal government has to protect sage grouse under the Endangered Species Act, potentially forcing harsher restrictions. Sage grouse in particular, Catlin said, need tall grass as cover against predators. The BLM's monitoring methods are different from those of Wild Utah and the Western Watersheds Project. Catlin and John Carter, a former Utah director of Western Watersheds, keep tabs on 4-square-foot cages made of rebar and chicken wire. They measure the density of grass tufts and seed heads in such protected areas and compare them against what's grazed. Using more than 1,700 samples over five years, they reported that livestock in a given year would use at least the BLM's maximum standard 50 percent of grass in most upland areas at Duck Creek. They found much higher use  90 percent  in the riparian zones, and estimated the agency under-reported this use by at least a third. By contrast, Carter said, BLM scientists measure grass heights, often overlooking the density or even species composition, counting grazing-tolerant plants as equal to sensitive grasses that are best for cows and wildlife alike. "It's very difficult to go out and just eyeball something like that," he said, but the plaintiffs contend such estimates are a suspect basis for the government's pronouncements of range health. The BLM reviewed the groups' data and rejected them in its 2008 decision because their methods varied from the agency's. Rich County Commissioner Norm Weston disputes the environmentalists' view that the allotment is suffering. A rancher himself, Weston said he has noticed a difference since the BLM installed the upland water system  and has scared more sage grouse out of the brush on recent tours there. "The people in this county are very concerned about making sure sage grouse habitat is protected and expanded," he said. He trusts that the BLM is, too, and wants the plaintiffs to work with the agency. "Allow [the BLM] to make improvements," Weston said. "Get in there and push along and help, instead of getting in the way." For Carter, though, it's a matter of science over smokescreens. The BLM's Utah office has determined that fewer than 1 percent of the 1,000-plus grazing allotments in the state need management changes, but they don't judge that based on the presence of particular grass species, willows, beavers, clean water or other things that would best indicate range health. "These standards-and-guidelines assessments," Carter said, "are really just a joke." 25,000 acres of BLM range in Rich County. Up to 641 cows allowed at a time in rotation among four fenced pastures. Upland water troughs installed to attract cattle from stream banks. Environmental groups used hundreds of field samples to show grass usage exceeds agency standards. The BLM rejected the groups' methods and is defending its management plan before a judge. The case is before Interior Department administrative law Judge James H. Heffernan.